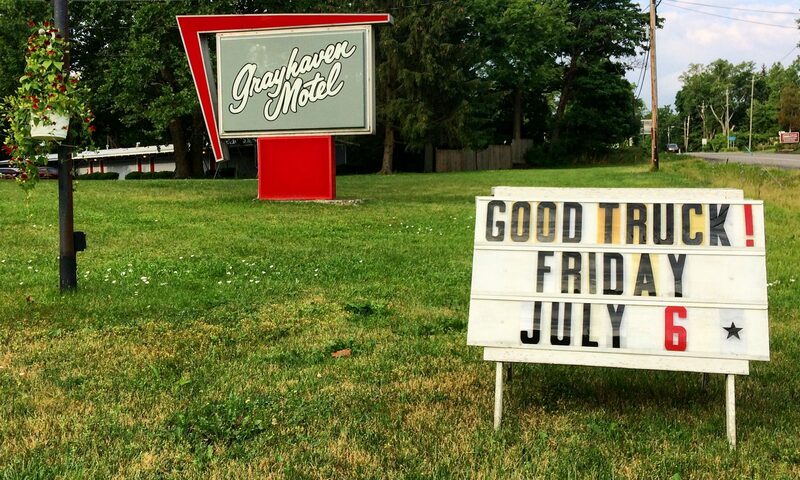 Grayhaven Motel & The Good Truck are making your summer fun easy and delicious. 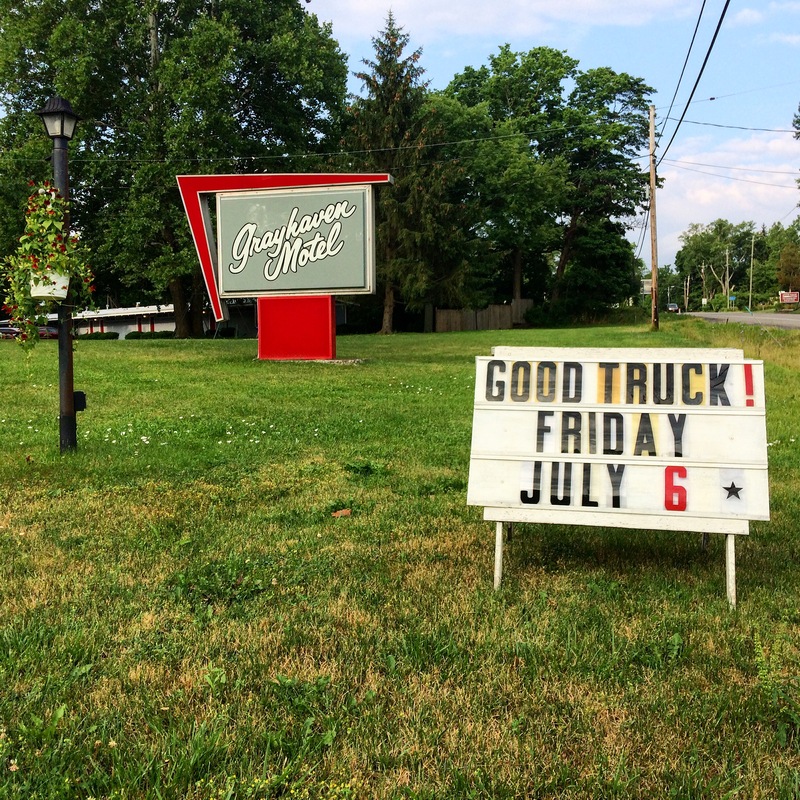 Join us from 5pm – 9pm on Friday June 8th for gallery night in the main house, your favorite tacos and tortas on our lovely grounds, followed by a hotel/motel themed horror movie screening from 9pm – 11pm. June’s hotel/motel themed outdoor movie is a cinema classic featuring analog typewriters, creepy twins, hedgerows, and red-rum. Movie screening is planned for 9pm so bring a chair/blanket, some bug-spray, and your favorite felling axe. Movie is weather dependent.